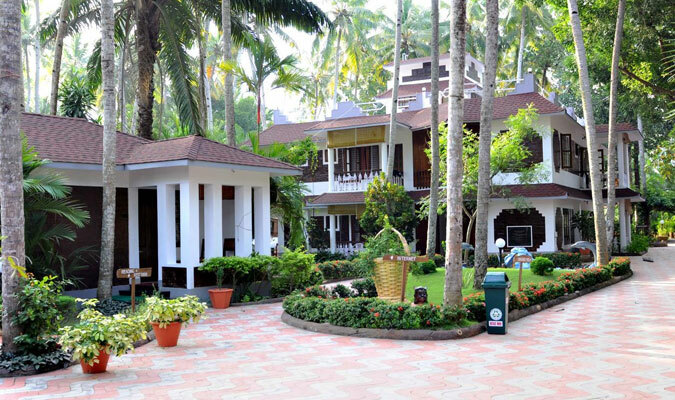 For experiencing the true magic of the town of Varkala, the Akhil Beach Resort is an ideal place to stay. The 2-star hotel offers amazing range of luxurious facilities and amenities to enhance one’s stay and take it to the level of home-like-comfort. 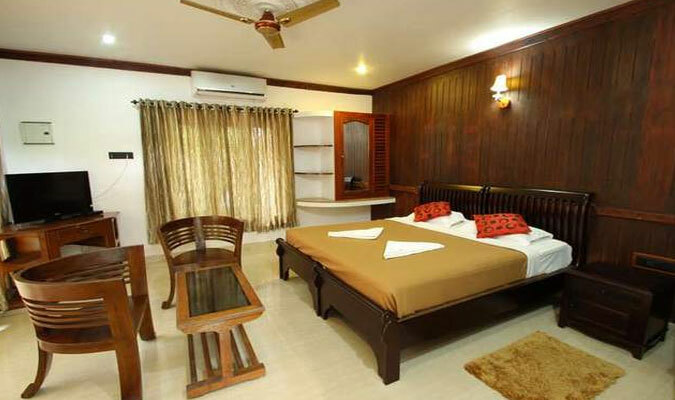 The interiors and furnishings are designed and crafted according to the traditional charms of Kerala and are perfect abode for relaxing and rejuvenating stay. Heritage Cottage Pool View: Spacious rooms fitted with all modern amenities and infusing the modernity with the traditional charms of Heritage of Kerala with the interiors. Deluxe Pool View Cottage: These cottages are delightful to stay in and offer an amazing view of the pool side. Ideal for families on vacation. 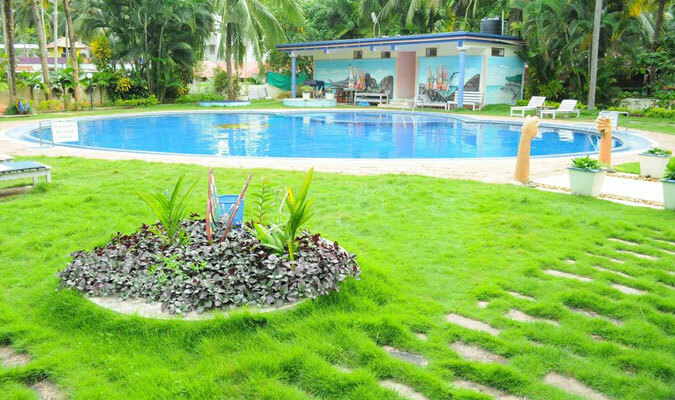 Deluxe Garden View Cottage: These cottages are similar to the above mentioned category but for the fact that they provide the lush green surroundings of the garden. Ideal for nature lovers. Deluxe Room: The most basic rooms in the hotel but do not compromise on the comfort level. Honeymoon Pool View Suite: The spacious romantic suites are ideal for honeymoon travelers with budget constraints. 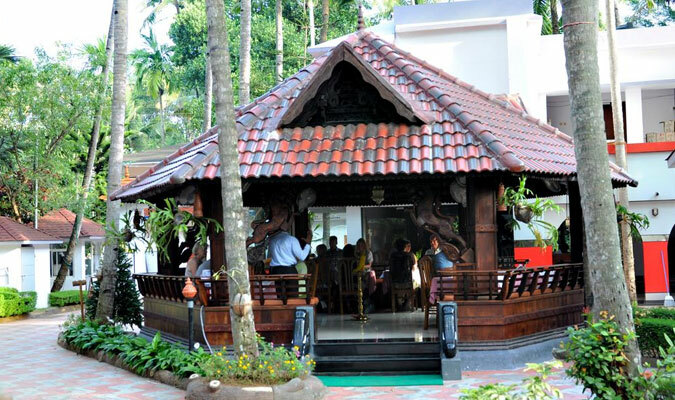 Royal Heritage House: These rooms showcase the style and elegance of heritage of Kerala. Deluxe Vintage Villa:These extremely spacious villas are meant for families if they are looking for a lavish stay in the hotel. The hotel houses an on-site multi-cuisine restaurant that serves lip-smacking Kerala delicacies including some authentically cooked seafood. The hotel also specializes in Continental, Chinese and north Indian food. The guests can enjoy assorted range of wines and beers with their dinner.